This coming Thursday, Britain goes to the polls to make one of the most important decisions in its history. Deep Extra Cover's Huw Lloyd talks about what that decision could mean for cricket in England. When people enter the voting booth on Thursday to decide if Britain should leave or remain in the European Union, many factors may influence where they put their cross: immigration, the economy, security, even law making. I doubt, however, that County Cricket and its players will be at the forefront of many peoples’ minds yet leaving the European Union could have more of an impact on the county game than people may at first think. There are currently a number of players registered to play for county sides under the Kolpak ruling, a ruling allowing players from countries that have a trade agreement with the EU to play in County Cricket as non-overseas players. The ruling came into force in 2003 due to a Slovakian handball player Maros Kolpak, who fought a legal battle to allow him to do the same in the handball arena in Germany. Since Claude Henderson signed for Leicestershire in 2004, becoming the first player to use the Kolpak ruling, the English county game has seen a number of players follow in his footsteps: Ryan McLaren, Jaques Rudolph, Andre Nel, Murray Goodwin, Ashwell Prince and the Flower brothers Grant and Andy to name but a few. If the British public vote to leave the European Union, this law will cease to benefit the cricketers who ply their trade on these shores and they will be unable to continue to play. This is not the first time players registered under the Kolpak ruling have had their ability to play in county cricket put under pressure. In 2008, with over 60 players registered to counties under the Kolpak ruling, the ECB became extremely concerned about the lack of opportunity for young England players to play and thus gain enough experience and skill to play for England. As an incentive for counties to field as many England qualified players as possible, the ECB moved to create a link between the number of English players a team fielded and the funding provided to the county. This is clearly having the desired effect, with only Surrey signing a player under the Kolpak ruling this Winter in Ravi Rampaul. There are, of course, other players still registered under the Kolpak ruling in County Cricket from previous seasons. Brendon Taylor at Nottinghamshire, Colin Ingram at Glamorgan, Richard Levi at Northants and Fidel Edwards at Hampshire are some of the more high profile players who have given up their right to play for their country in order to play English County cricket. People will argue that a County system without Kolpak players will benefit the National side and help young players come through; others will argue that the opportunity to play with, against and train with these players will only help the young players to learn from them. Whichever position you hold, one thing for certain is that Kolpak players have had an impact on our county game. With the ruling coming into place in 2004, the same year the England side went on one of their best ever runs in the world game – winning the ashes and eventually gaining the world number one ranking. Could this have been down to the influence of Kolpak players, helping home grown players to develop; by learning from them and playing against players of a higher calibre? You could argue that Andy Flower, who came to the country as a Kolpak player, has had the most impact on the game in this country than any other overseas player. He coached a very successful England side and now holds a position of power in the halls of the ECB. Without the Kolpak ruling, would we have had such a successful period following the departure of Duncan Fletcher? That’s something we will never know, but it is hard to imagine Flower would have been appointed had he not been playing the game in this country before hand. Counties, too, will look back fondly on their Kolpak players. 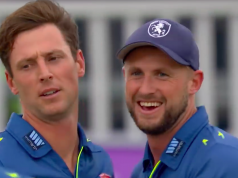 Nic Pothas at Hampshire became a club legend, giving so much to the side; would Lancashire have gained promotion last season without the runs and experience of Ashwell Prince and; would Leicestershire have won their three T20 cups without the help of their Kolpak players? For every Pothas, Prince or Flower, though, there have been some very average players here under the Kolpak ruling. For every average player here on that ruling, a young English qualified player is being kept out of the game. Would the County game be better off without Kolpak players? No-one knows, but we may find out in the aftermath of Thursday’s vote. As you enter the voting booth on Thursday, as you put your cross in the remain or leave box, let the names Flower, Prince, Pothas et al cross your mind and think, just for a moment, where we might’ve been without them.